High-Gloss Acrylic 12-pack paint set. 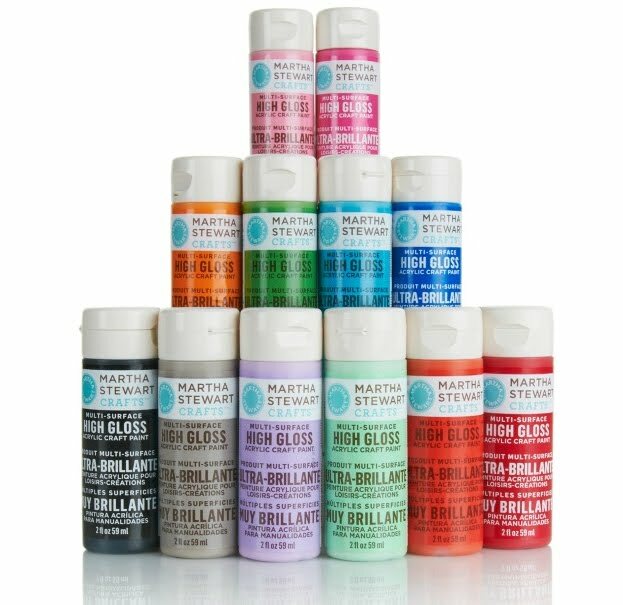 Martha Stewart paints work for all surfaces, hold up to indoor or outdoor use and are perfect for all craft and hobby techniques. Whether you're brush painting and detailing, sponging, stenciling or stamping, these creamy, high-performance pigments provide excellent coverage. 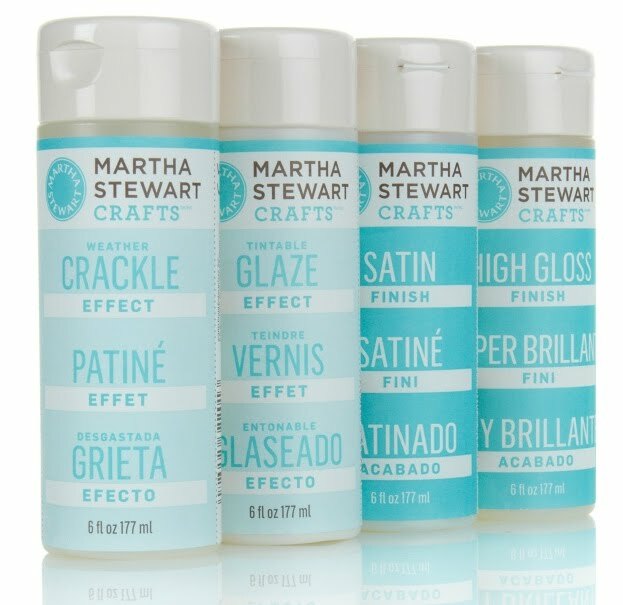 Four pack Martha Stewart Specialty Paint Mediums: Crackle, Glaze, Satin and High Gloss. Create exquisite surfaces using specialty mediums that help you take decorating projects to the next level. Achieve satiny finishes, glossy shine and even rustic, weathered effects with these four bottles. From simple stained-wood treatments to extraordinary faux finishes on walls, home decor or furniture, paint mediums give you the power to transform the ordinary into something remarkable. I'm pleased to see the line expand beyond paper, stickers, and stamps. The paint, I'd find more useful.. especially since it's multi-surface. Andrew, you are the best source for Martha information, even better than her own company! They should pay you for all this! I'm so glad you have returned to posting at this blog. Wow! I have to check the out. could you please explain in detail about the above painting mediums.. when do we use it and how?